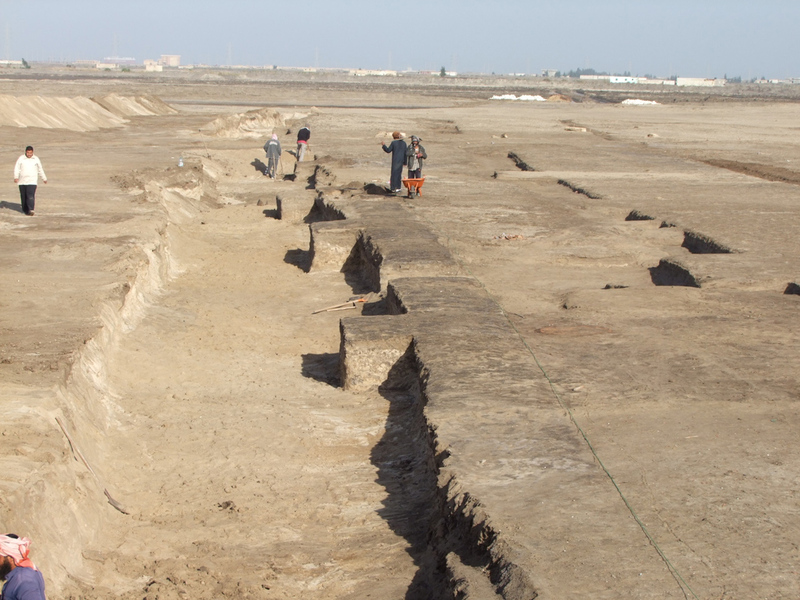 The Ministry of Antiquities mission discovered the remains of massive administrative structures dated back to the Hyksos era about 3 kilometers east of the Suez Canal at Tell El Huba, Qantara in North Sinai. The mud brick structures consist of two floors and several halls. 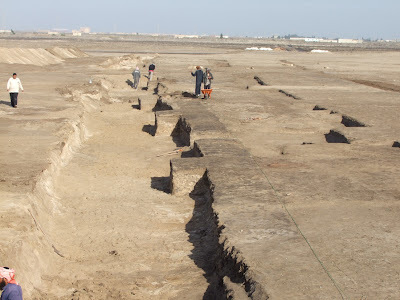 Dr. Mohamed Ibrahim, Minister of Antiquities, said that there are burials of human and animals were found inside those buildings dated back to the Hyksos time. Many of the human skeletons were stabbed with spears referring to the fierce battles that were fought at the site between the Egyptian army led by Ahmos I and the invaders from the east till they were defeated and chased out of Egypt. Dr. Ibrahim also said that the mission found a number of magazines belong to the Egyptian army as well as granaries, some of them are 4m diameter circular and the others are rectangular of 30 meters by 4 meters dimensions dated back to Thutmosis III and Ramses II. 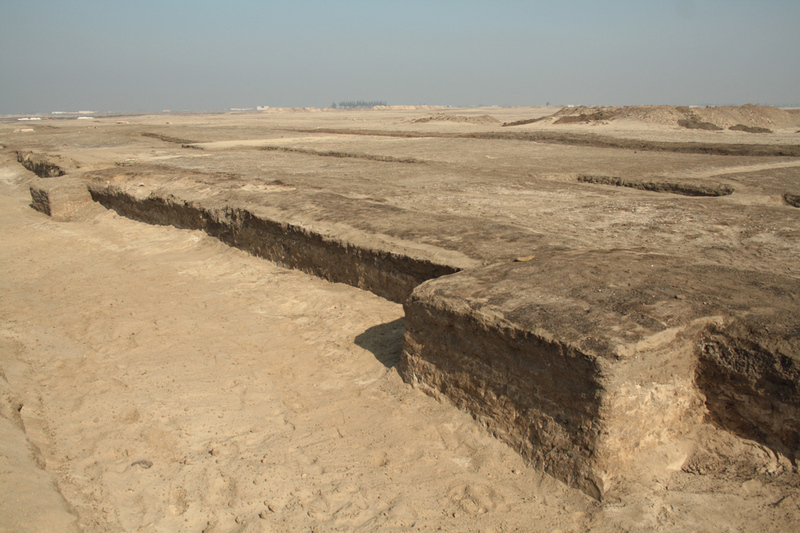 The estimated capacity of the granaries is 280 tons which gives an idea on the large number of the Egyptian army members in the time of the New Kingdom. 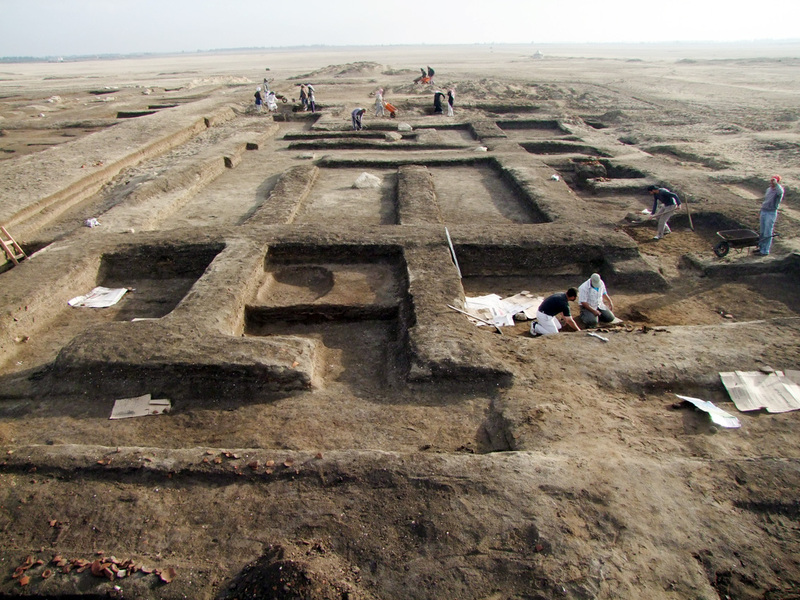 The Minister pointed out that a project to preserve and protect the discovered structures and fortresses in the site as the oldest defense system. The site will be prepared to be an open air museum of military history expanding over 1000 acres as a part of the Suez Canal touristic development projects. Dr. Mohamed Abd El Maqsoud, the head of the mission said that the remains and traces of a massive fire caught up in many of the building in the town during the battles which confirms what’s in Rhind papyrus in the British Museum that Ahmose I attacked the castle of Tharo or Tjaru in Tell El Huba and conquered the town then constricted the Hyksos capital in Avaris. 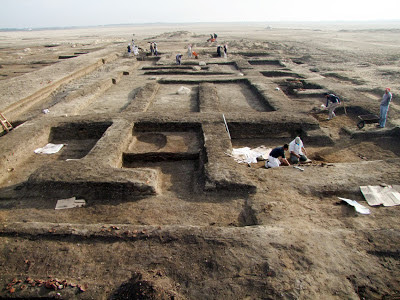 The mission also found volcanic remains belongs to Santorini volcano in the Mediterranean Sea which caused the first Tsunami in the old world about 3500 years ago, resulting submerging a large part of Sinai coast, Delta and some of the sites including Tell El Huba.